Our practice is created by an experienced dentist based foremost on Integrity and Honesty. We treat every patient like family. Friendly and caring Team- We work respectfully, courteously and care for your concerns and needs. Our team strives to make your dental experience like no other. We accept most dental insurance plans. We will work hard to determine and coordinate your benefits with your treatment. No insurance…No problem- We offer in-house dental coverage that takes care of 2 routine cleanings/exams and required x-rays in a 12 month period for $249. Convenient location adjacent to the new Enola Giant and West shore Hospital with plenty of parking 1 minute from Route 81/Wertzville Rd Exit. We are fortunate to have a brand new, state-of-the-art dental facility. We offer a relaxing, modern, and inviting atmosphere that will feel as if your are visiting a spa. We incorporate the latest in dental technology to provide superior care and maximize your safety and comfort. We utilize low radiation digital x-rays and especially quiet electric motors for treatment. See your own x-rays as they are taken. Our dental chairs have the ultimate in ergonomics and comfort in their design. And for your safety, we use top quality instrument sterilizers and cleaners. We offer a kid-friendly, welcoming atmosphere. We want all of our young patients to feel at home when they’re at the dentist. We understand that many children feel scared or uneasy about dental visits, and we always treat our younger patients with extra sensitivity and care. Having a positive dental experience during childhood can encourage a lifetime of good oral habits. We strive to make your child’s dental visits comfortable, comprehensive and most of all, fun! We have a waiting area dedicated to the kids, TV’s in all rooms, Free Wi-Fi, and for Mom’s and Dad’s comfort we have a diaper changing area. 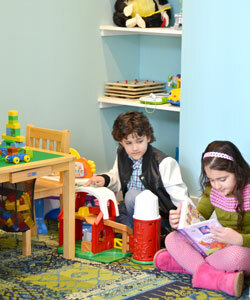 The kids will love picking a toy from our treasure chest upon completion of their appointment. We welcome all children to stop by for a visit. We inform before we perform. All options, pros and cons of each option, the cost and time of all options are presented. You make the decisions. We are a United States Veteran Owned Business!